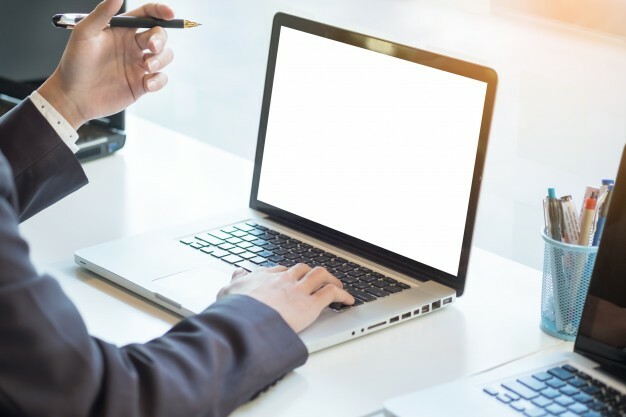 Be it on a stand in the office, in a college library or even sat aside an overpriced concoction in your local coffee shop, laptops are a way of life for many people in today's world. With the evolution of technology and social media the possibilities to make a living from working on your laptop are very real. Due to the extent of their use, many laptop users report discomfort and pain after hours of use. This is due to a lack of knowledge in correct laptop ergonomics which results in poor posture and increased risk of injury. Use these practical tips to ensure you can continue to remain productive and pain free during laptop use. 1. Adjust the armrest of your chair to at least the height of table and keyboard, so that your shoulders are supported but relaxed, and the angle at your elbow is at least 90 degrees. 2. 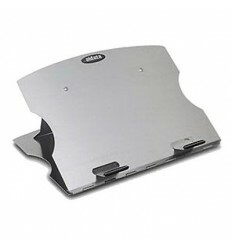 When using a laptop for over an hour use a laptop stand. 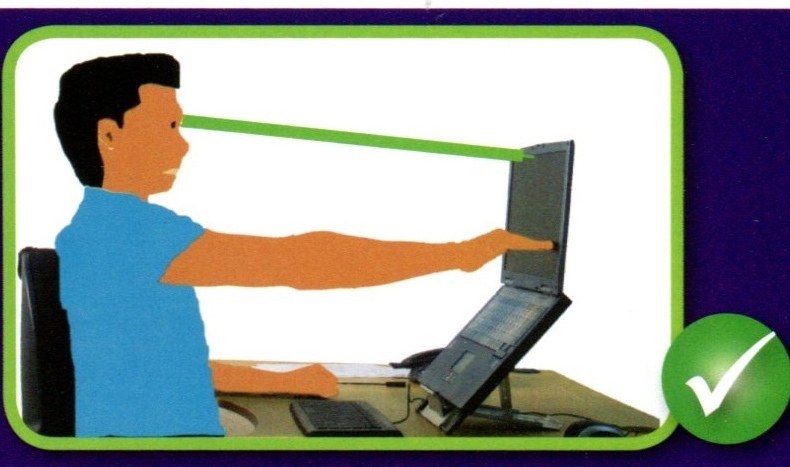 This will enable you to remain sitting upright and avoid slouching over looking down at the screen. 3. Place the screen at an orientation which is tangential (i.e. 90 degrees when compared to the line of sight). This will prevent you from twisting repetitively which may cause injury over time. 4. Place the top of the screen at eye height or just below (no more than 2″ below). Again this will allow you to sit upright in a neutral posture. 5. When working with documents, use an inline document holder between the screen and keyboard. 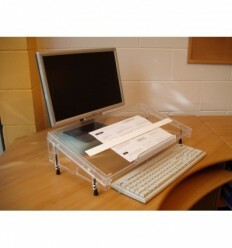 A microdesk is a fantastic option for those who use paper a lot. 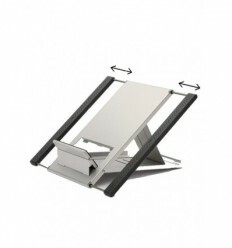 The microdesk will enable one to remain upright without leaning or twisting to read and write on paper. 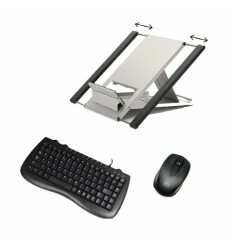 6) Using a Laptop stand along with a separate keyboard and mouse will help you avoid back pain and neck pain. A laptop and a high quality Laptop Stand should easily fit in all laptop bags. Laptop packs will enable you to remain productive as ever wherever you are working from.